Soft durometer trim around opening that helps silence bin door closing. 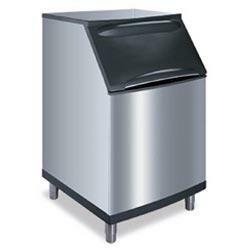 It's convenient stay-open design keeps bin door out of the way while scooping ice. DuraTech™ stainless finish exterior is durable, corrosion resistant and attractive.